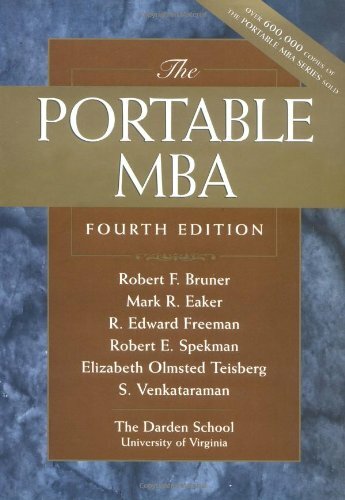 This new edition of 'The Portable MBA' updates the reader on all the changes in the world of business. It reflects the latest trends in business, including e-commerce, mergers and acquisitions, entrepreneurial thinking in large corporations, and the challenges of the global workforce. and Financial Management. He has served as a consultant to over twenty corporations as well as to the U.S. Government, and prior to his academic career, worked as a commercial banker and venture capitalist. Bruner holds a BA from Yale University, and an MBA and DBA from Harvard University. What Constitutes an Ethical Issue? Measures of Process Performance: What is Improvement? What Is an Entrepreneurial Opportunity and Where Does It Come From? What is a Strategy Alliance?